American freedom is one of the notable features that grasped me during my first few years in the United States. While many of the immigrants settling in the U.S. are coming for economic advancement, there are some that come here to enjoy free expression, escape religious persecution and much more. In the past few months over the course of 2016 election, some instances of practicing that freedom really gave a blow to my belief of abusing that right of free expression. It also brought back some disturbing memories & parallelisms to eastern nations' political cultures. A national flag is a representation of a sovereign country's identity. It represents the people of all colors, ethnicities, races, religions in a nation. It encompasses the nation's pride with historical legacies. It symbolizes the soldiers who would fight till death to protect the flag from falling to the ground. It stands for the country's proud moments in the world arena (i.e. Olympic events), while also acknowledging the dark past (i.e. slave trade). But ultimately no matter what, it is a symbol that transcends all controversies, rumors, disputes. It is above any individual, organization, or even a particular society. It is a whole that represents everyone, good, bad & ugly. But in the recent time, burning a flag has become a common thing among some Americans. Ever since the 2016 election result has been declared, some anti-Trump citizens have taken it to the streets to burn American flags. Do they really know the value of this flag? 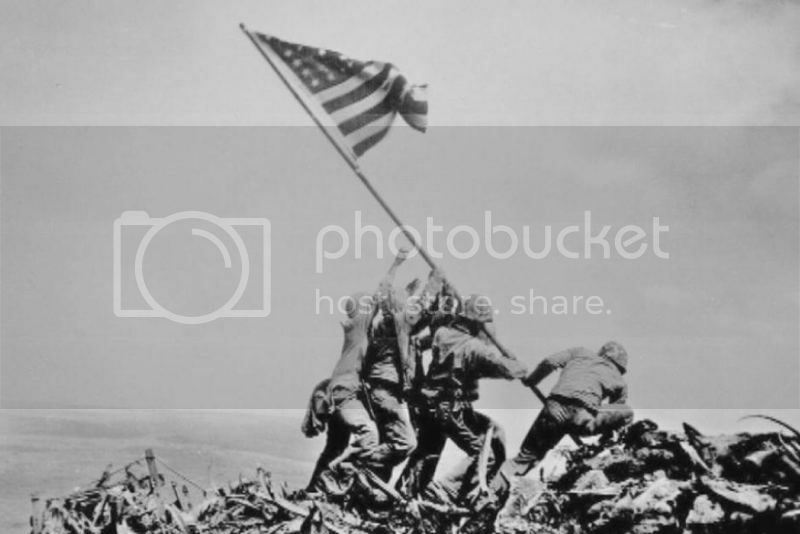 Have they lost anyone who fought for that flag? Did they not feel proud when Michael Phelps won gold medals in Olympics & he was singing the national anthem in front of the flag flying above everything else? What sacrifice have they had for this country that makes these people eligible to denigrate something that constitutes even them? What message is this sending to the wounded soldier who is without a leg while on duty to protect this flag & its values? What does it tell for the future Navy Seal who is growing up idolizing his father killed in the battlefield as a marine? If this is not a middle finger for those fallen warriors' families, then what is? Are these flag burners not part of America which that flag belongs to? Are they declaring not to be Americans? When you have such anti-American sentiments in American citizens why would the al-Qaeda or ISIS need recruitments from Middle Eastern countries to carry out terrorist acts? They can simply brainwash these anarchist-type Americans little more to be able to successfully execute terrorism in the homeland. Do these flag burners realize this? Over the past few years we have seen so many mass shooting incidents in American homeland that it has become a normal thing for many of us nowadays. Still our lawmakers are hesitant to touch 2nd Amendment of the Constitution which gives citizens the right to bear arms. The argument can be made on both sides. While taking away guns would ensure lesser mass shooting incidents, it would also deprive lawful citizens who might need guns for their protection against certain dangers that other Americans would not have to worry about. What mistake did those lawful citizens commit that their right would be taken away for the crimes committed by few individuals? Wouldn't a full background check enable those lawful citizens to carry their own guns? That way, those who deserve to own guns would be able to have guns while those who don't deserve it would be left out. Similarly, the frustration that these flag burners are exhibiting by burning flags are directed at some individuals of the system. Certainly it cannot be for the whole country because they themselves are a part of it, otherwise they could just burn themselves, simple logic would suggest. So, if the anger is towards a few, why desecrate the national symbol that encompasses both those Trump lovers & Trump haters. Why not burn effigies of individuals or organizations if that is what these anti-Trump citizens are so tormented for? But then again, Americans don't generally have a positive notion when it comes to effigy burning, i.e. Syrians burning Asad's effigy would be depicted as rebels against the state. So why would they want to contradict themselves? Along with these points, I also found some parallelism between some recent events in Bangladesh with flag burning in America. There has been several incidents of destruction of Hindu temples, houses & businesses after some fake Facebook posts by a Hindu man insulting Islam or its symbols surfaced on the internet which were later found to be originated from accounts of Muslim individuals. But the locals of those villages or communities just base their knowledge to the fake trending posts on Facebook rather than actually finding out the details before going on a rampage to desolate Hindu neighborhoods. Sometimes even the local police would stand silently while the havoc continues. There are also instances when several Muslims from other villages would join the frenzy with just the rumors of such Facebook posts. To me, this is nothing different for many of the flag burners post-2016 election in America. Some of these individuals or groups of people who are shouting against the election result did not even take the step to vote to bring Hillary Clinton to Oval Office. So the following action to burn the American flag is just based on their peer influence that brought them to the streets for protest. Some would even not be able to name all of the presidential candidates. They sometimes are just going as a domino effect, because others are doing it, they are doing it too. They don't filter out the real news from fake news from their Facebook feed & participate in such events of flag burning. Now the U.S. Constitution protects the citizens rights to free expression. The U.S. Supreme Court has made it clear before that as long as the act of flag burning does not cause or threaten peace in the country, it is allowable. Do these events in several American cities where flag burning has taken place not disturb peace? When these protesters are taking their protest to the streets, is it not hurting the traffic in the roads? Are the businesses of taxi drivers not get affected when roads are blocked during these protests? Don't get it wrong. I'm not saying protests should be made illegal. But when that protest is not coming from the whole (i.e. the taxi driver not joining the protest) or it creates obstruction in other lawful citizens daily routines who live on a daily budget, this is quite substantial. It is okay to disagree with something or someone. But what right does our Constitution give to cause harm to a 3rd party's regular living? You may have your own beliefs, but that should not be forced upon someone. This is the exact thing that brought this country into existence. The Puritans emigrated to this 'land of the free' to escape from religious persecution. Many Hindus who do not want to be forcefully converted to Islam in eastern hemisphere come to America to gain religious freedom. Many Muslims who do not want to be persecuted for their political views or sexual orientation come to America to evade from their countries to practice whatever they believe in. Now if an atheist goes to a mosque with pork or Hindu temple with beef, would that be considered freedom of expression? While the atheist has the right to practice his or her beliefs, but that does not mean he or she can insult others sentiments who also want to practice their beliefs. Just like the atheist can go into a mosque to have lunch with pork or a Hindu temple to have dinner with beef, but he or she can do the same elsewhere without hurting the sentiments of others (devout Muslims or Hindus). By a similar token, just like the U.S. Constitution gives those anti-Trump citizens the right to display their free expression by burning American flag, they should not do it for the sake of hurting other patriotic Americans. Just like those atheists can eat the forbidden meats elsewhere besides those religious institutions, the anti-Trump citizens can also demonstrate their discomfort by other means instead of burning the flag. Just like the mosque or temple is a sacred place for Muslims or Hindus, the American flag is also quite sacred & close to their heart for some Americans. When demolishing the idols in a temple can hurt the sentiments of devout Hindus living in Bangladesh, burning the American flag is also quite sentimental to the soldier who is living the rest of his life paralyzed to save that flag. During my initial few years in this country, I regularly stood up during the national Pledge of Allegiance in school. That practice is not implemented in colleges, but whenever the national anthem or Pledge of Allegiance takes place, I have always tried to show my respect toward the flag, the country as a whole. I may not have obtained citizenship during those school days, but as a law-abiding person, I felt it my duty to respect the land I currently live in. I may not have agreement with all the positions that the country's lawmakers make, but the land that is sustaining me is above any lawmakers or individuals. The culture that our current generation is growing up where NFL idols like Colin Kaepernick are not standing up during national anthem is a wrong lesson that our kids are learning. I mean even opposition team's fans also show respect to each other's anthems in World Cup matches in soccer by standing up. The refusal to fly American flag in a university display a kind of disrespect that we often see when deans would punish students for not listening to teachers in a high school setting. But when the same educational institution obtains monetary funding from the same governmental sources that represents the flag (or the country as a whole) is just mind-boggling to me. Don't be surprised if this disrespectful culture eventually ingrains in the future American generations which could lead to many unspeakable crimes for the days to come. Spiderman was rightly instructed: "with great power comes great responsibility". American citizens have great power to control who gets to make decisions, not just for their country, but alter the future of the world. So this great power of citizenship must be nurtured with great accountability.